Please let us know your baby name first! 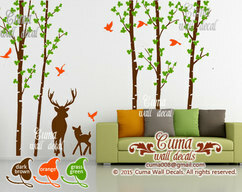 Every tree could be sticked on the wall separatly. Please leave message about colors or your request in seller box. If not, we will send you default color. 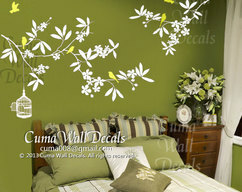 * Our vinyl wall decal material is best quality and easy to be put on the wall, if you dont need it, it is easy to be taken off and will not damage your painting, but cant reuse. It could be on the wall for several years. 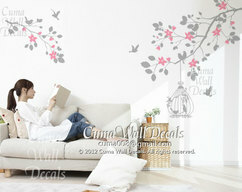 The wall decal could be put on any smooth surface include slightly textured one, please keep the surface without dust. message to us. we could make it for you . 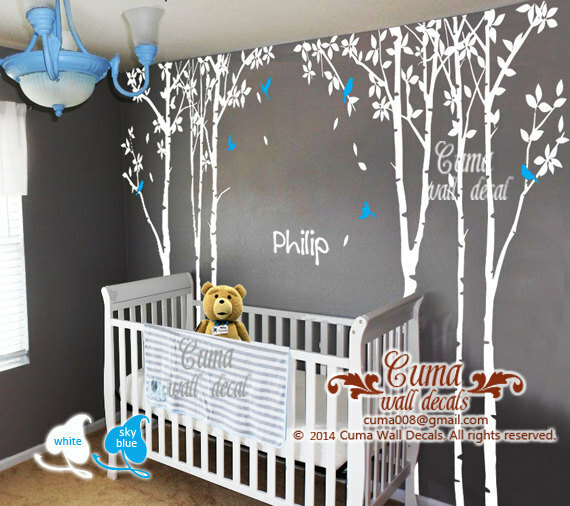 * If you like custom design, just show us your idea, we love to help you to make it. * After we receive your order and the payment, we will try our best to make it for you within 2-3days and ship it. * We will use registered mail to ship it, and provide the Tracking Number later. Shipping time to Asia USA UK Australia is about 2-3weeks,if it is urgent, pleae let us know, we will post it by air express with extra cost. * After you purchase it, if you are not 100% satisfied with it, please convo us first, and let us know your requirement, we promise we could help. Or if you really dont like it, please send the unused items back to us within 3 days after you get it, and we will refund the decal money back to you when we get it. Customed order will not be refunded. Any other question please convo us first.